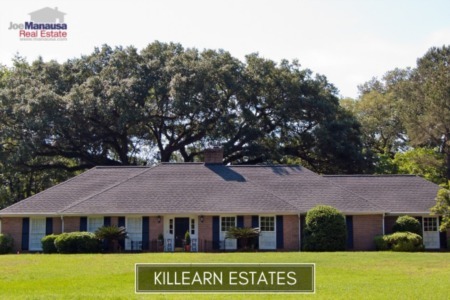 Northeast Tallahassee has many popular neighborhoods, and today we feature Killearn Acres that has homes with prices very close to Tallahassee's median home sales price. Currently, there are 23 homes for sale in Killearn Acres, and they range in price from $120,000 to $260,000. 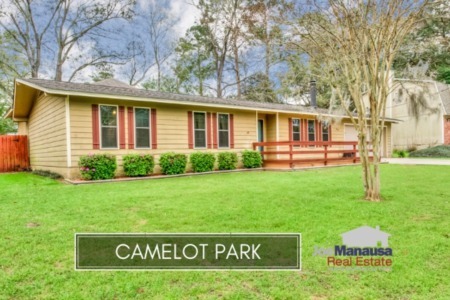 Killearn Acres home sales are usually fairly brisk, and it is why this subdivision can usually be found among the top five or ten most active neighborhoods in Tallahassee. Our first real estate graph shows some good news for people who need to sell a home in Killearn Acres. 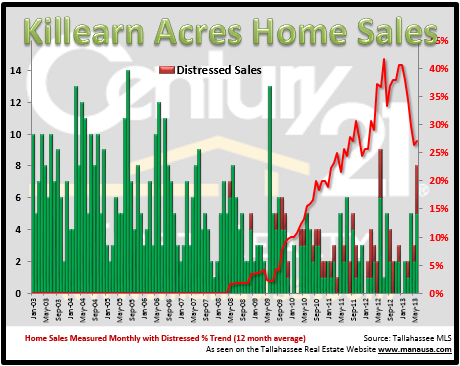 The number of distressed home sales has dropped from a peak above 40% so a current level of 27%. This means that more than one in every four home sales in Killearn Acres is either a short sale, a foreclosure, or a bank owned property. This number of distressed homes in the market are keeping values down, as buyers are willing to wait for properties that are being liquidated. Our second graph shows that home values have not yet begun to turn as we have seen in some of our other Northeast Tallahassee neighborhoods. In the graph below, the green bars show the number of arms length home sales each month, while the red line (measured on the right vertical axis) measures the one year trend of average home values. 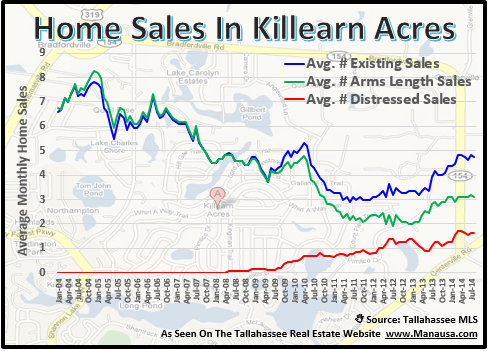 The average value of an arms length home sale in Killearn Acres over the past year has been $102 per square foot, which is about 24% lower than values found at the peak of the market.